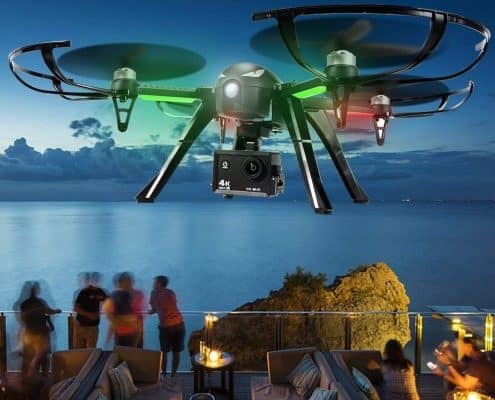 As the world continues to usher in the era of new technological devices, drones continue to take over our skies, and they are completely transforming the world of photography and video recording. 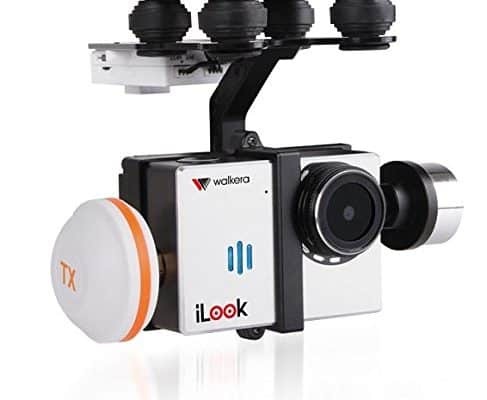 Most businesses ranging from the film and acting industry to simple and extreme sports stars are now dancing to the tune of these simple but versatile devices. 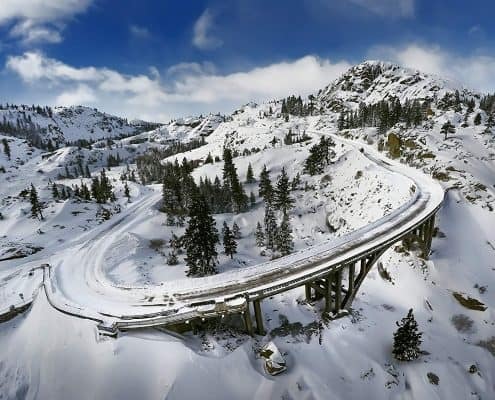 All that hype is not for nothing as they are quite efficient and give the best pictures and videos from an angle that no human could achieve unless they do so on a plane which would be quite hectic and expensive. They come in different sizes, shapes and even designs which not only spoils you for choice but also gives access to quality ones. However, it would make no sense to spend extra bucks on a drone and end up with one which is not compatible with a go pro camera. 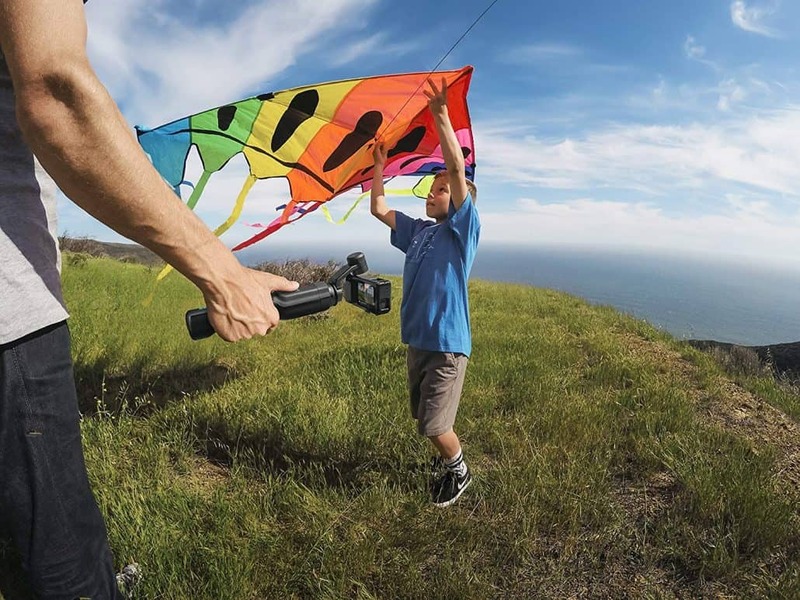 Go pro drones’ grant your wish of effortlessly capturing the best moments through high-quality pictures and videos. 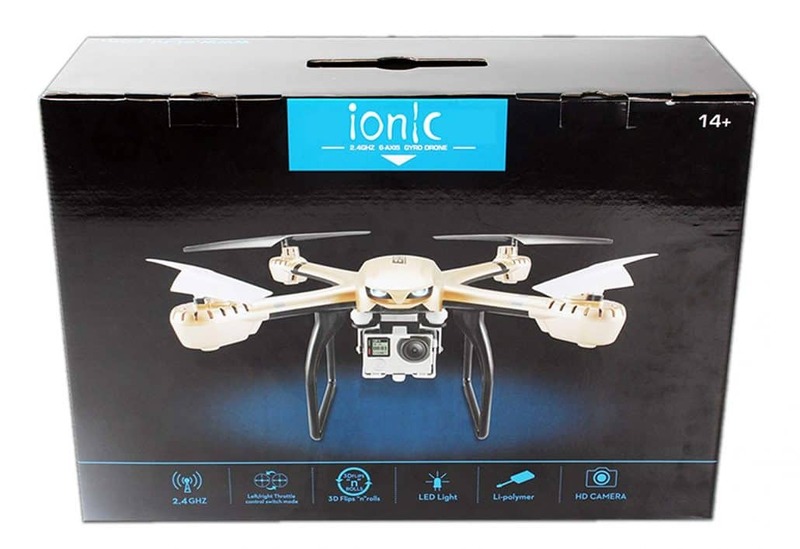 They are simply the new black and should be on every drone enthusiasts wish list or even collection. However, there are myriads of them out there which may make it difficult for you to make a selection. 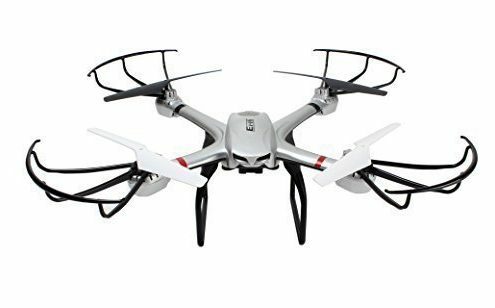 If you are in such a dilemma, then we got you with our list of the top six go pro drones in the market currently. 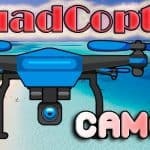 So what are the best GoPro Drones this 2019 you ask? 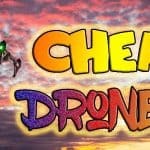 Let’s review all the features, pros, and cons! 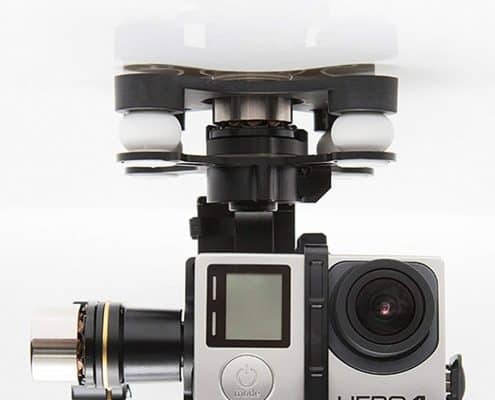 One of the most striking aspects of the Go Pro Karma is its simple but outstanding design. 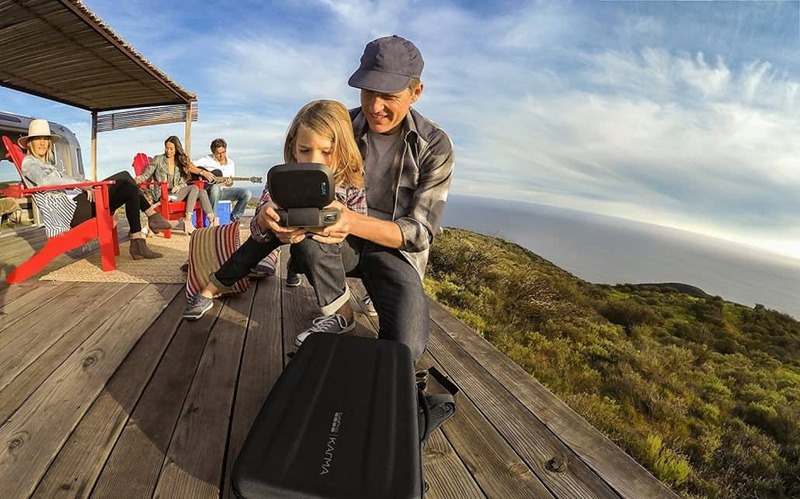 Whether it is a forest shoot or a hiking adventure, the air dog is highly portable. First of all, it is quite lightweight and comes with a modern design backpack that comes in handy during such far away shots. It’s design also means that you will not have to look for alternative means to pack it. 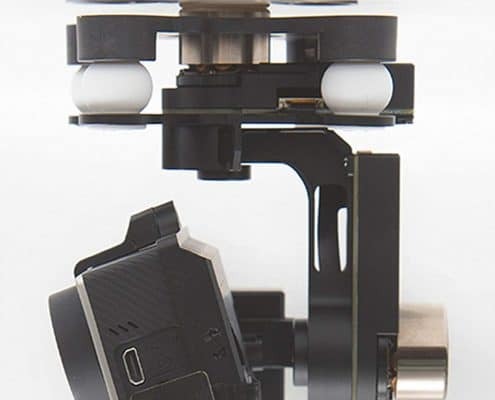 It also prides itself over a stabilizer which goes the extra mile in making sure that you get a smooth video capture even when the conditions are all shaky. 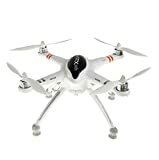 The drone itself comes in a compact size and an impressive black and white color which will never grow old. 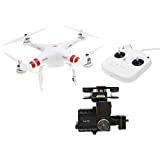 Other feature buyers consider while purchasing any drone is the controller and Go Pro Karma’s controller does not disappoint. 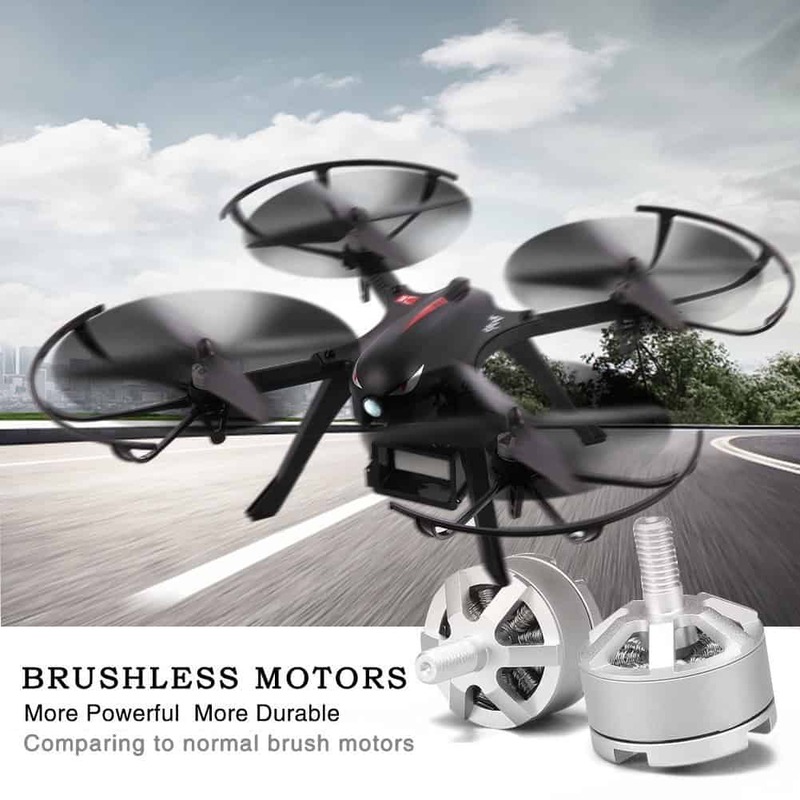 With a weight of only 22 Oz, it is lightweight which means you can control your drone without any difficulties. 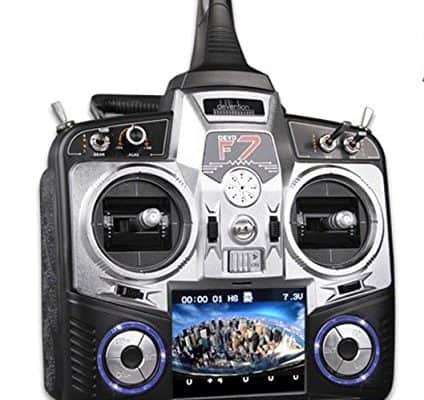 It has a built-in touch screen size of 12.7 centimeters and a resolution of 720 pixels; therefore, you have an easy time switching from one mode to another. 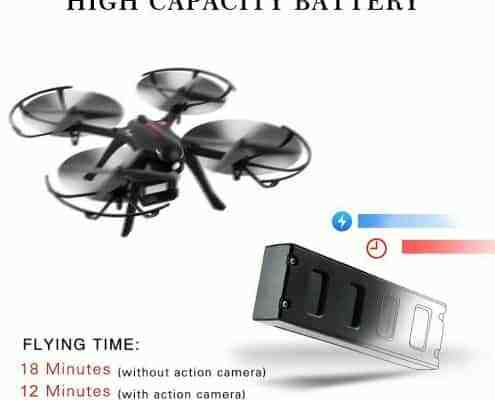 Its operating frequency is 2.4 GHz hence signal interferences from nearby drones becomes a thing of the past. The controller has thumb sticks which make handling a piece of cake. 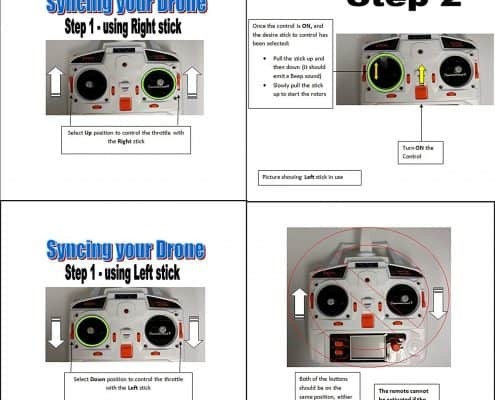 For beginners, you do not need to be a holder of a degree in IT and technical stuff to learn how to fly it as the controllers boast an inbuilt flight stimulator program which actually offers you an opportunity to fly the drone without it going airborne. 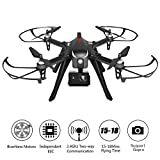 That is quite efficient as you will learn the function of each mode among all the other operations without having to crush it as it is usually the case with many beginners who learn to fly a drone while its airborne. 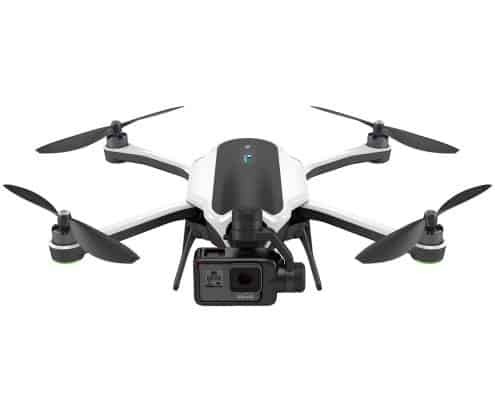 Being the first drone from Go Pro, the drone’s performance is quite excellent. 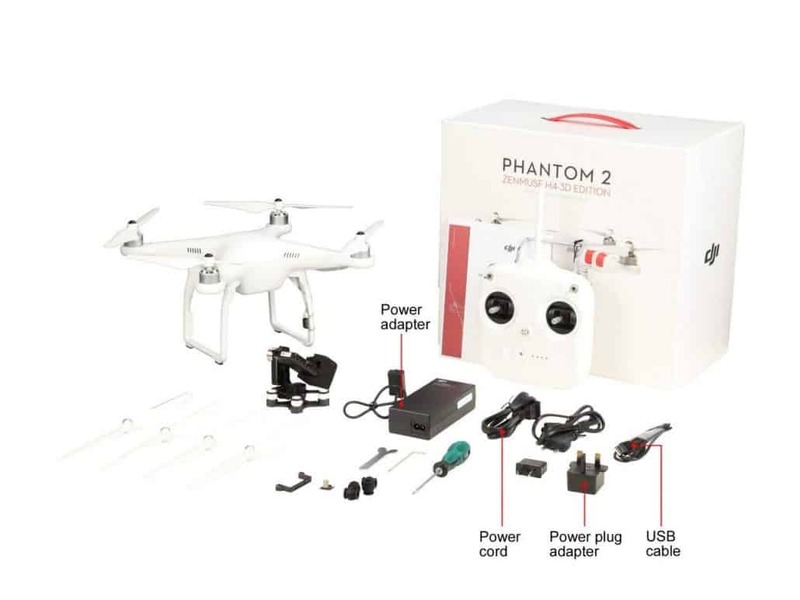 It comes with several modes such as the drone which allows you to zoom in on selfies which you have taken while the air dog is still airborne. Therefore, you get better selfie pictures as you can always delete the ones which do not impress you. 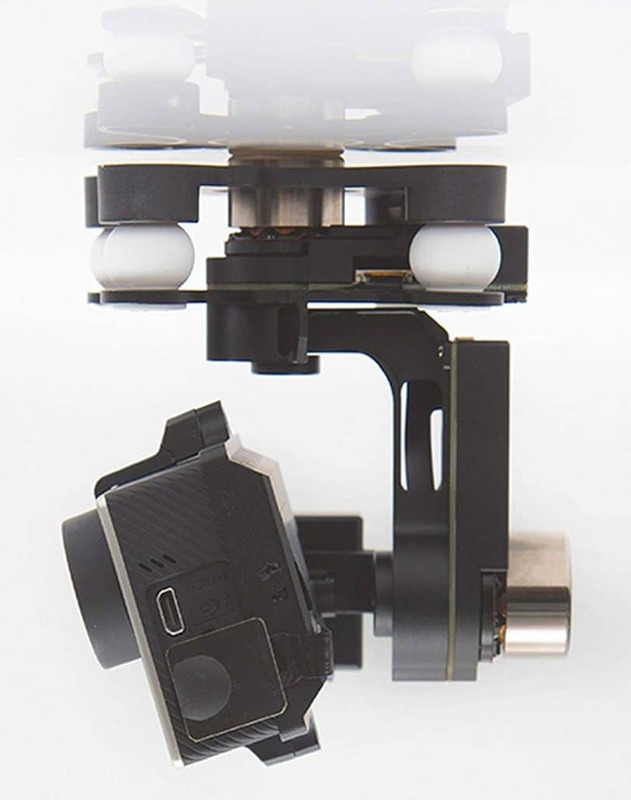 It also has the cable cam mode which is very helpful because you are able to move to pre-defined points hence allowing you to take shots from the best position possible while the reveal mode pans until you get the desired item or subject into focus and then automatically takes a shot. Finally, you have the orbit mode which creates a circular plan on the object. It comes in action once you get the desired angle using the other ones and ensures it does not leave the subject until you are done. 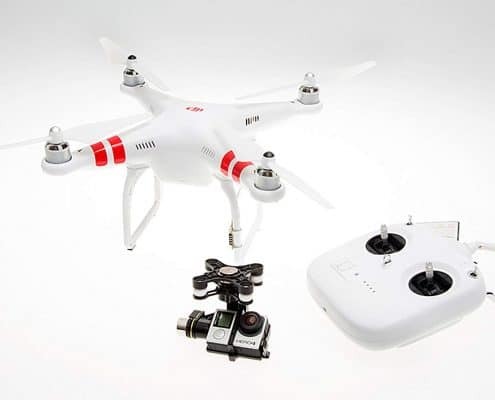 Therefore, you get pictures and videos with the same resolution and the best focus possible. In addition, you can do all this on your Smartphone instead of your controller and even stream in live footage. That is made possible through an application known as Quik through which you can also edit and join clips and even apply filters. Through the same application, friends who have installed it also enjoy the live stream and to make it even better, they can also control it. 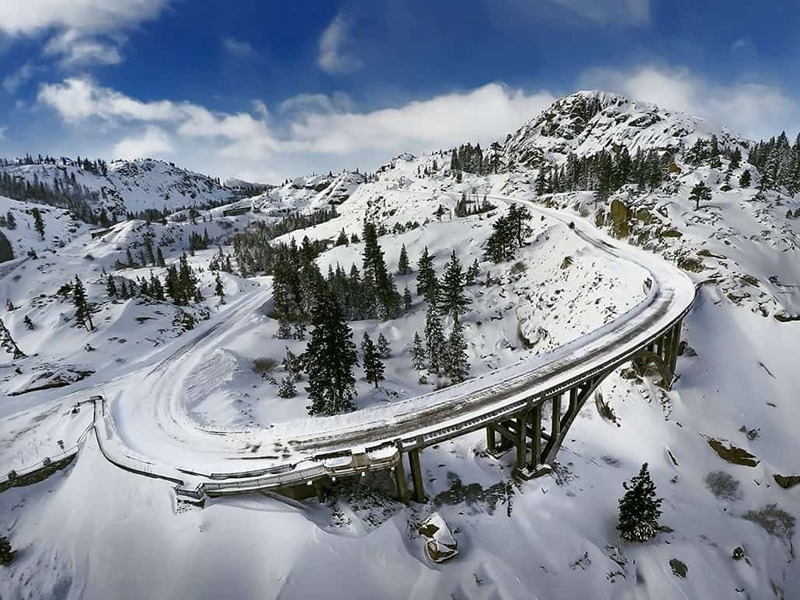 The speed is perfect and the flight time is long enough to ensure you capture the best of nature or anything that you want. 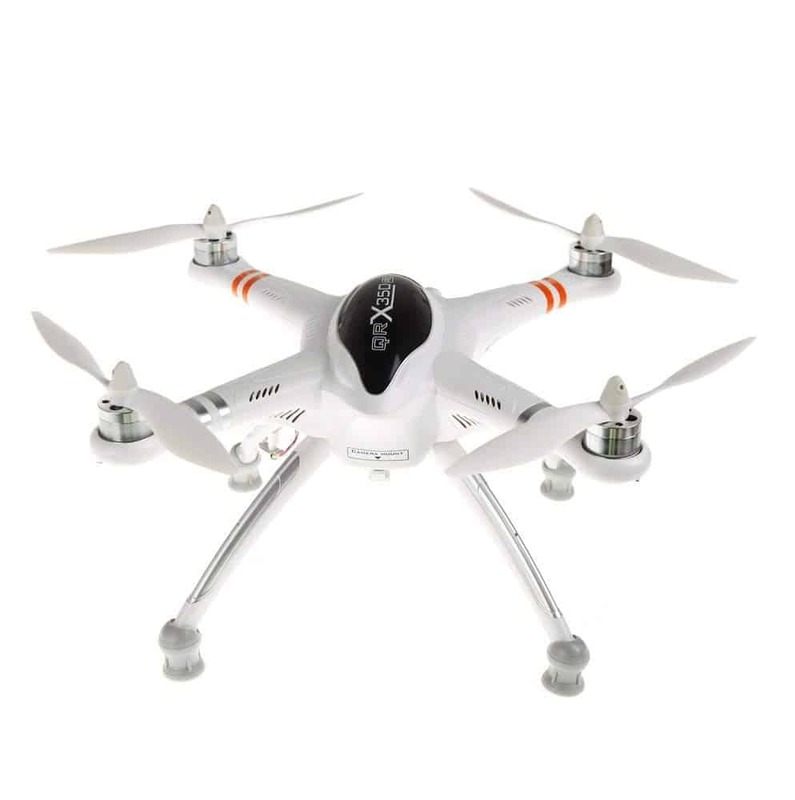 In regards to its design, most of the aspects are similar to Phantom one which was quite developed and durable. 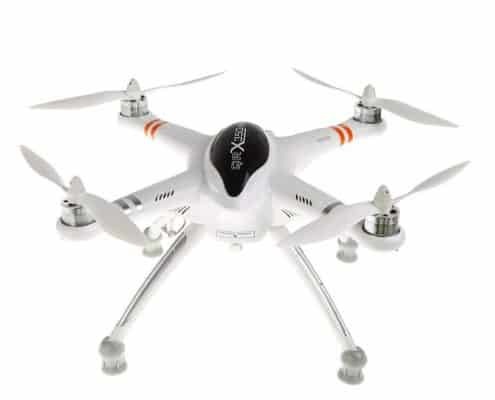 It is made of high-quality plastic and has elastic props. The propellers self-tighten themselves hence worries of them loosening mid-flight are cleared. They are also color coded so you can differentiate the front side from the rear. 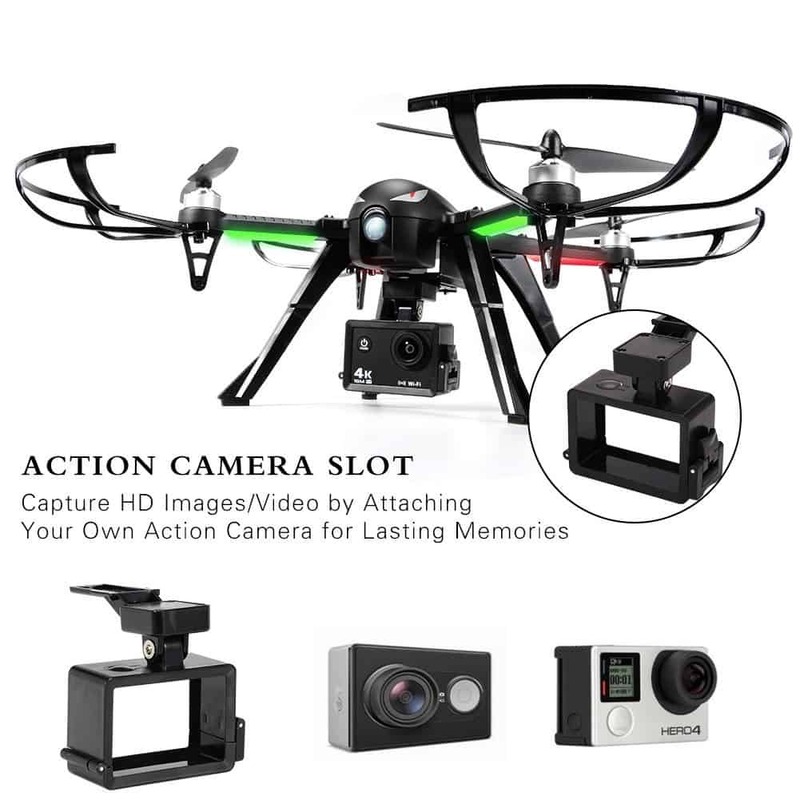 Also, you can easily rotate the drone while at the same time shooting quality photos. 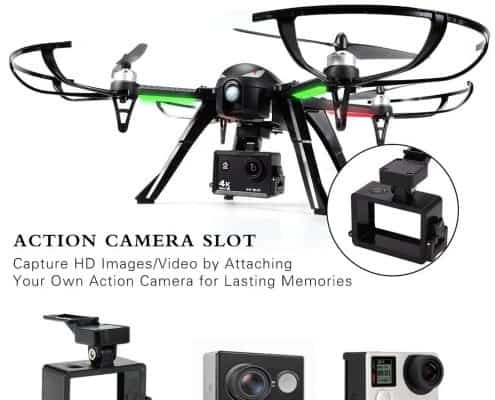 That is made possible by the camera tilting feature and also the come back to the original feature which ensures that the drone goes back to the initial position. 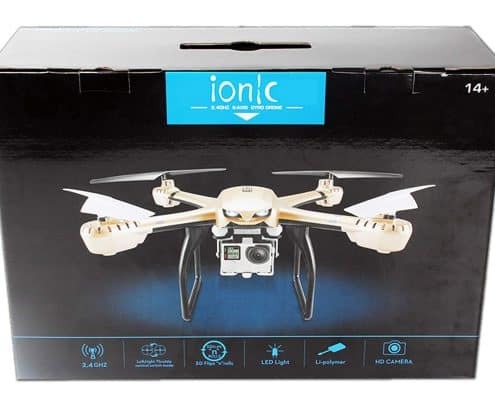 The manufacturer took the controller a notch higher to suit you as it boasts inbuilt lithium rechargeable batteries, unlike the other ones which usually have AA batteries. Therefore, you do not need to worry about buying a new one as all you need to do is recharge it. 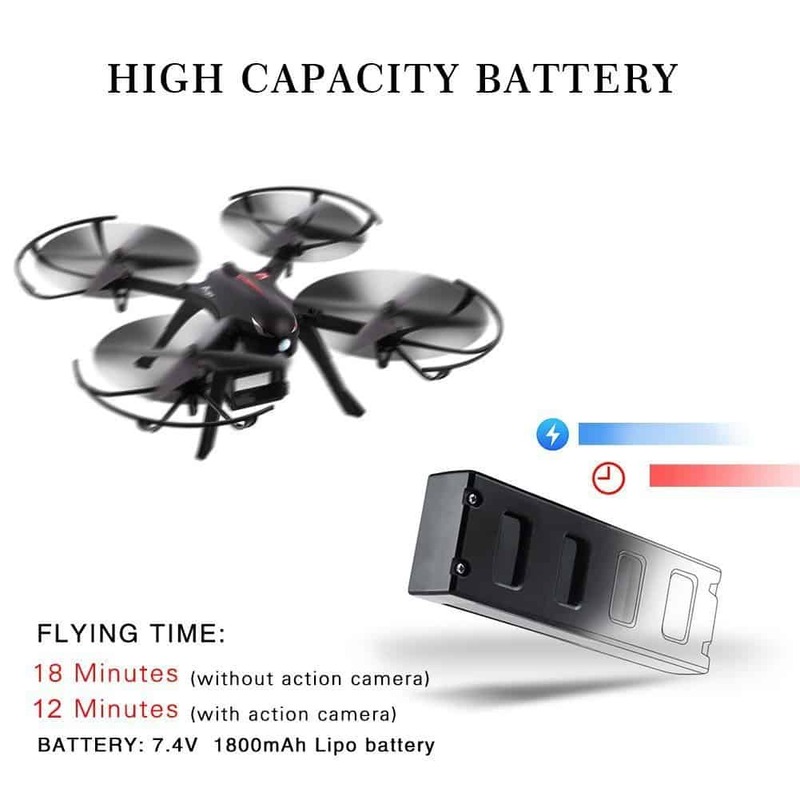 It also has an LED display which shows you the status of the battery charge remaining and also helps you maneuver the commands easily. Additionally, it has a clamp for your phone which allows you easy handling when you want to control the drone with your Smartphone app. 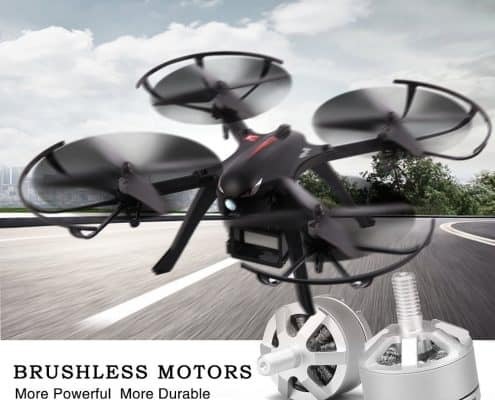 First of all the drone is made of strong plastic to prevent it from cracking or breaking the brushless motors whenever it crashes. 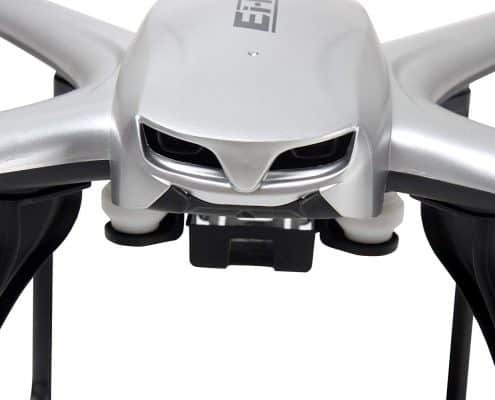 It also has landing gear which protects your camera and sensors from any damage that may occur during the landing process. The manufacturer goes on to add the touch of fancy and style through the white color and the slant at the top. 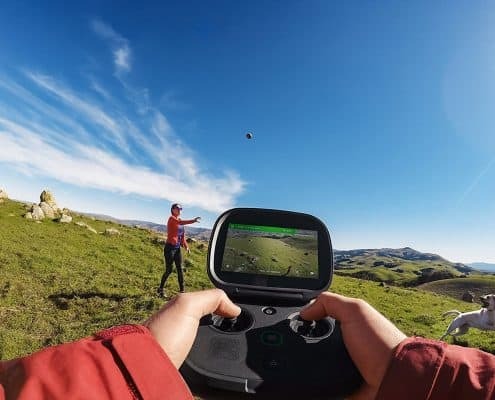 Rather than being the ready to fly a drone, Walkera is a bind and fly one which means that it comes to you as a skeleton to give you an opportunity to customize according to your own preference. 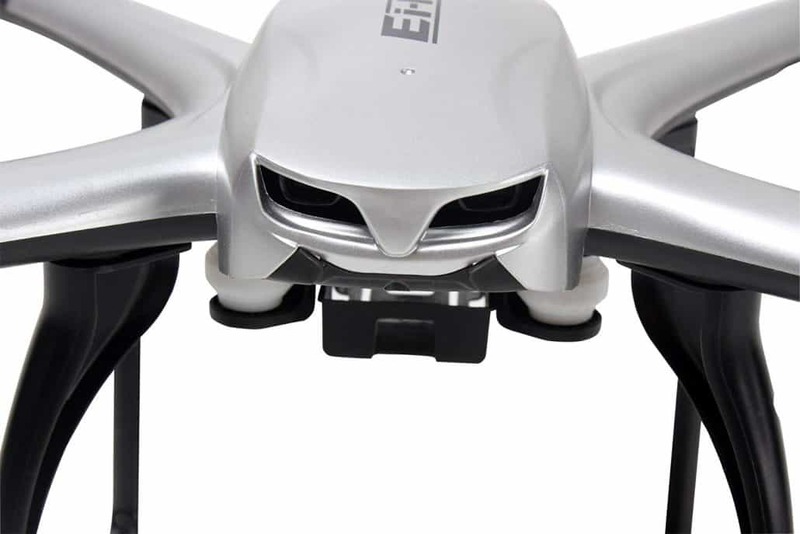 The manufacturer clearly wanted to make this drone the best one in the market as everything from its design, performance and now the controllers are just top notch. 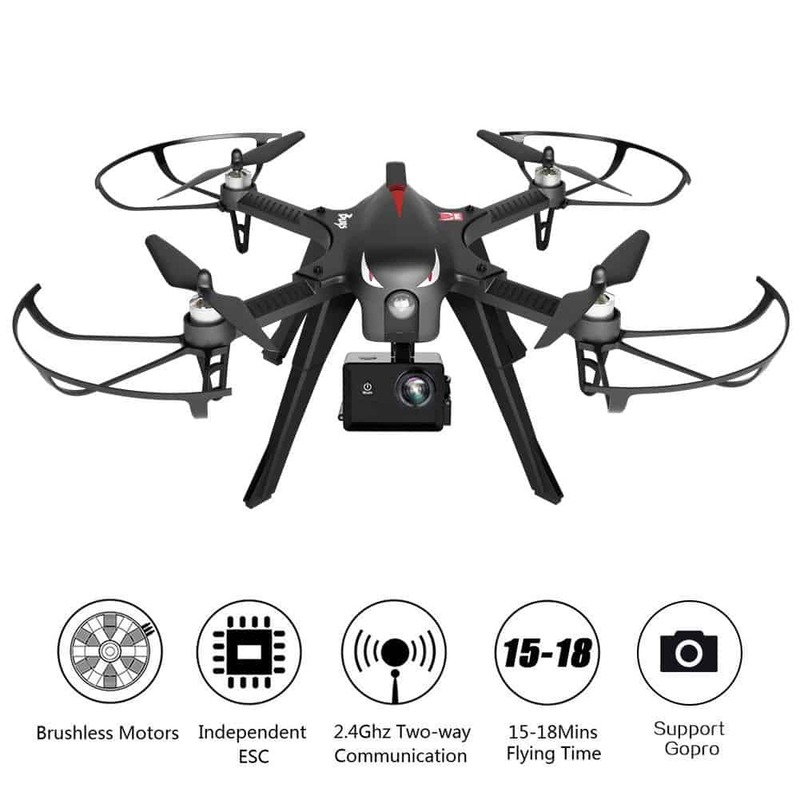 In the case of the transmitter, it prides itself over the APM flight controller which acts like the brain of the drone putting you in control of every movement that the drone makes. 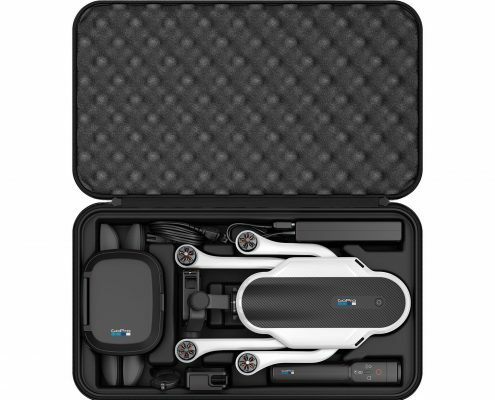 In addition, the transmitter combines Google maps to help you control the drone even when you are in a remote area. 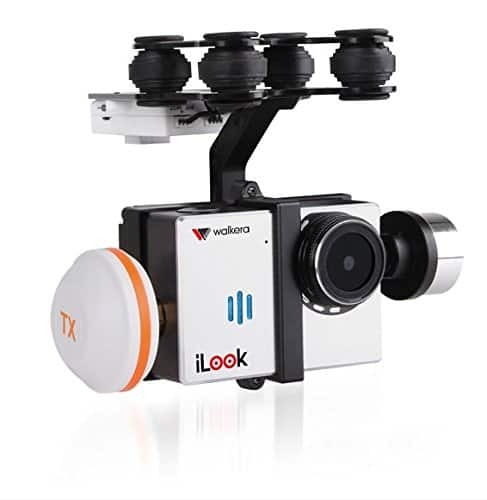 The Walkera QRX350 is full of features which make its operation almost perfect. 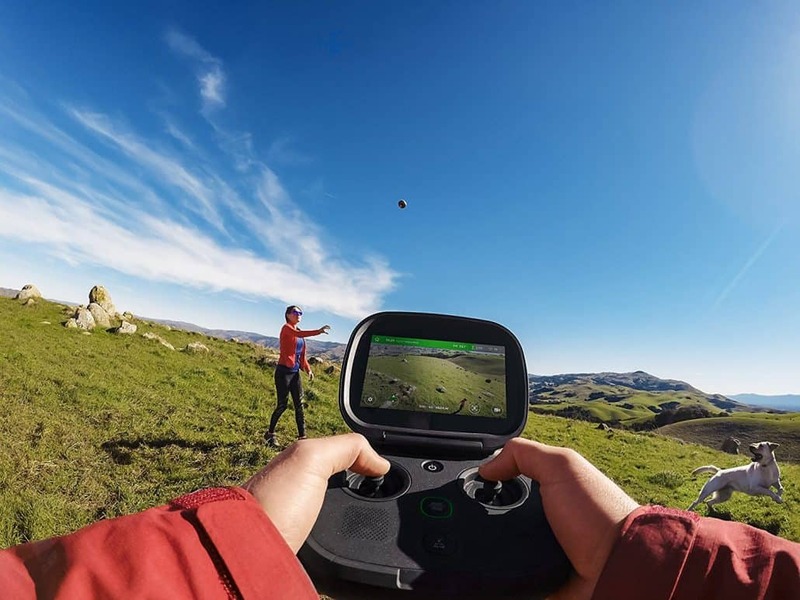 For instance, it boasts a GPS hold system which allows you to stop in midair and lets you capture or record a specific point for as long as you need. 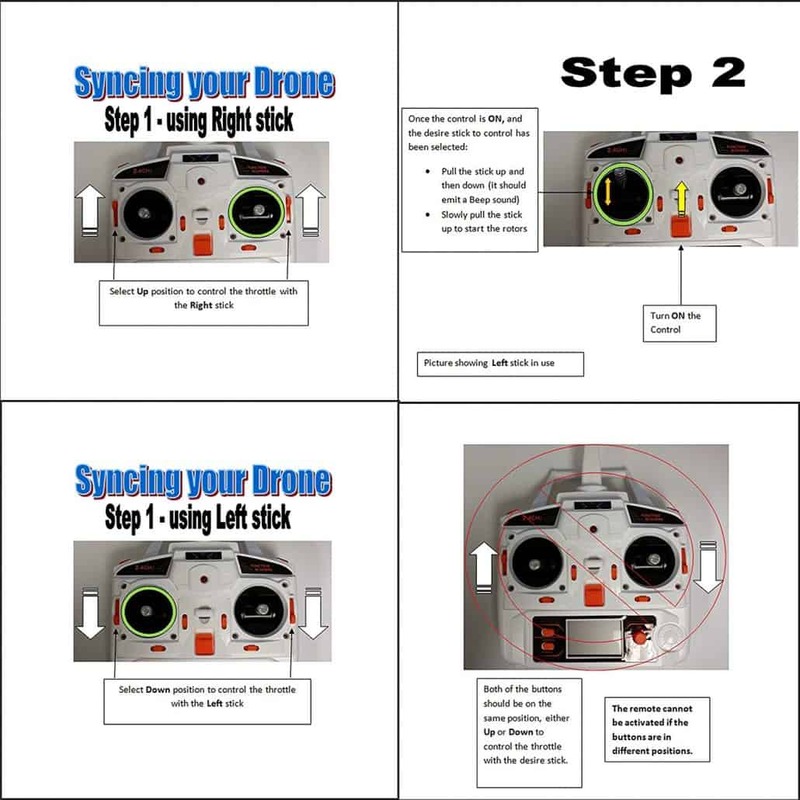 The GPS is also built in into the transmitter which connects to the drone hence enabling it to access information regarding your location and allowing it to return home. In addition, it also has a compass sensor and an APM controller which combines both the modern analog features making control effortless. It can go up to a speed of 45mph. Bug 3 design screams durability and safety. For instance, it is designed in such a way that it detects low voltage and high temperatures that protects it from such problems thus increasing its lifespan. 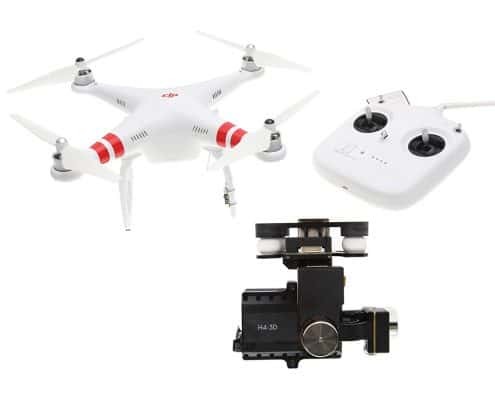 It also has the automatic lock protection and is made to be able to perform sideward flight. 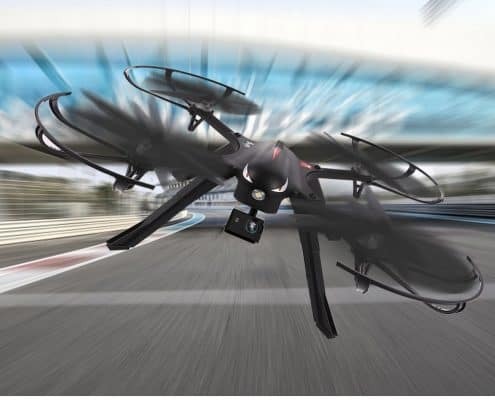 Additionally, it comes with extra accessories and landing gear which means, even more, safety as you need not worry about crashing when landing it. 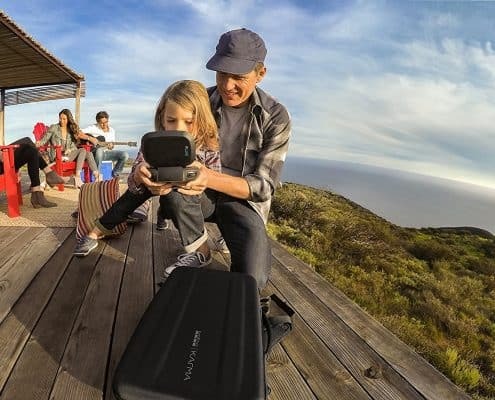 It is also extremely lightweight with only 485 grams. However, that is before you mount your camera on. 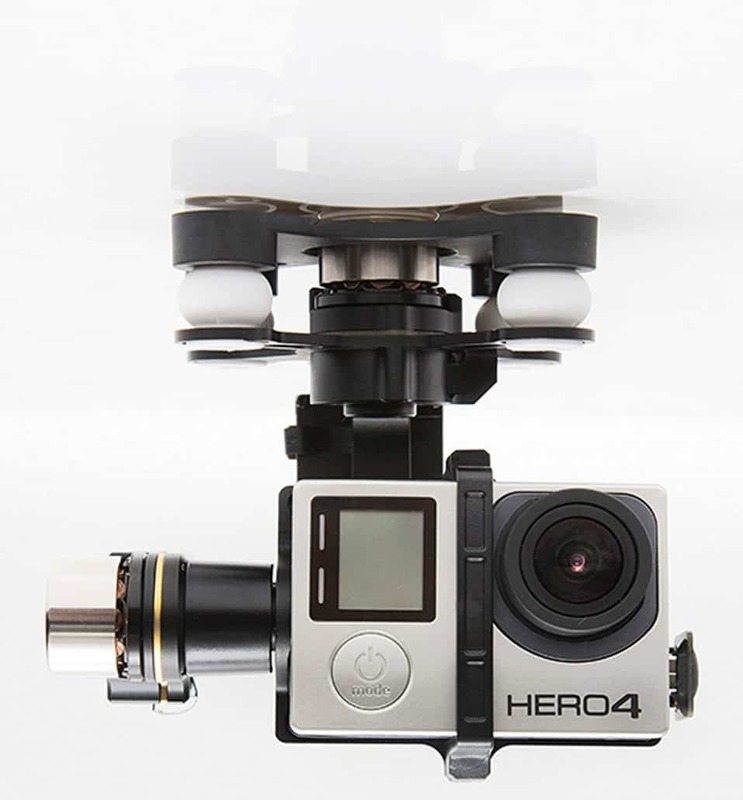 It has a camera mount which means you can attach a Go Pro model of your choice. As part of the design, the drone has bright LED lights on its structure so as to help you keep track of it during night flights. 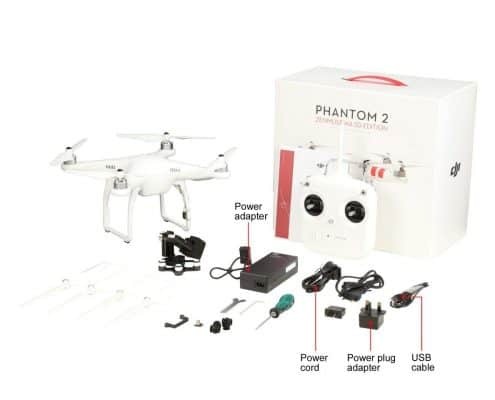 The transmitter has a frequency of 2.4 GHz which prevents any interference and also smart remote control alarm function which sends out signals regarding the voltage status of the drone and also whenever low signal occasions tend to come about hence ensuring you not only get the best shots but also keeps your drone safe. With regards to its flight performance, the MJX Bug 3 also does not disappoint. 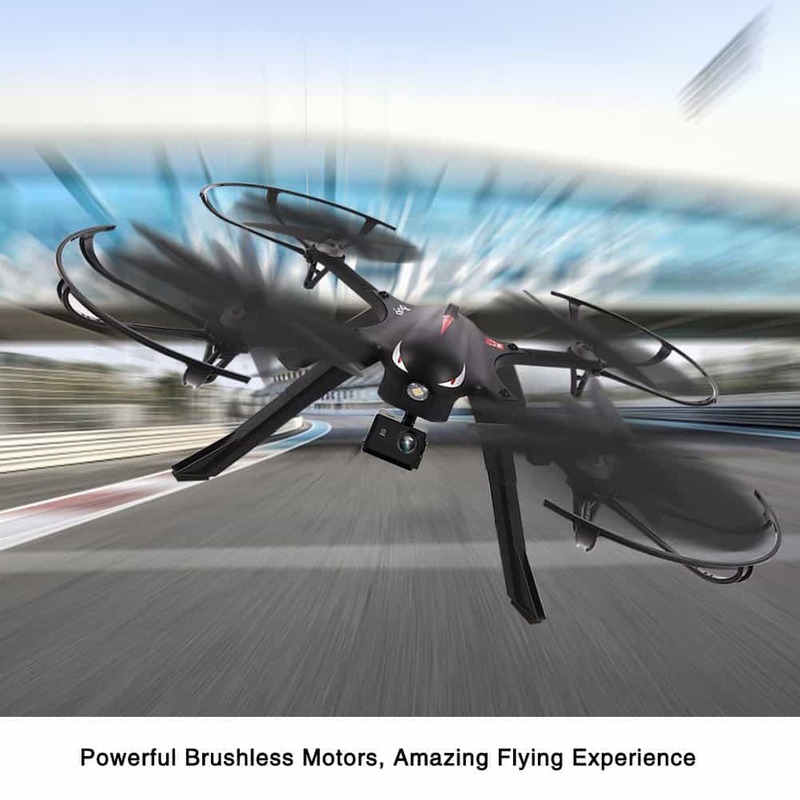 With the latest 6 axis gyro, you no longer have to worry about having a stable flight as it regains momentum immediately after it performs stunts such as the 3D flips and rolls. 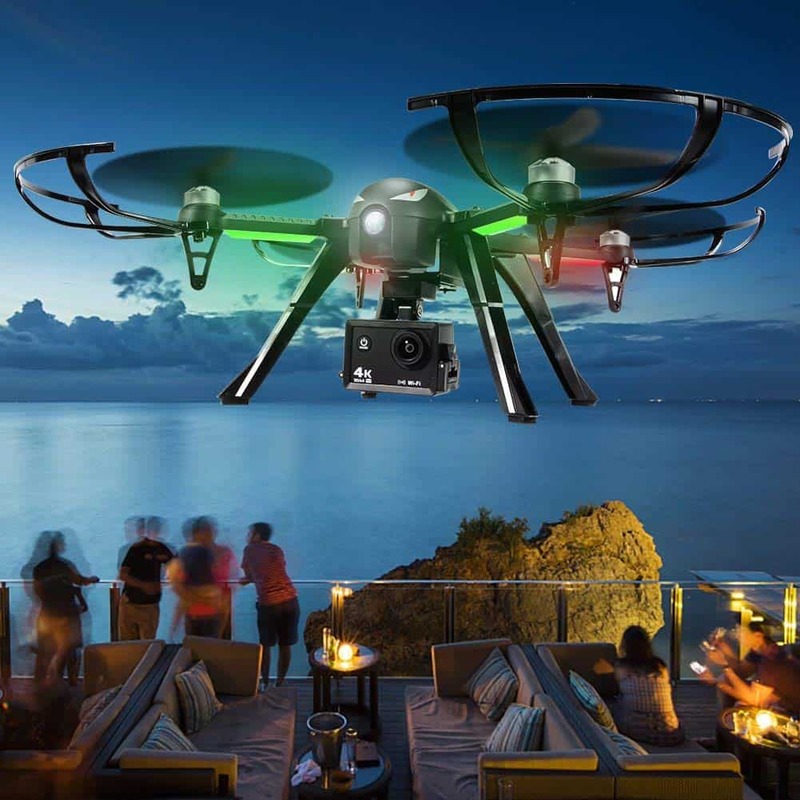 The drone will safely go over 400 feet without experiencing any interferences. Like indicated on the specs, the transmitter works on a frequency of 2.4G which means signal interruptions will be the last thing on your mind. 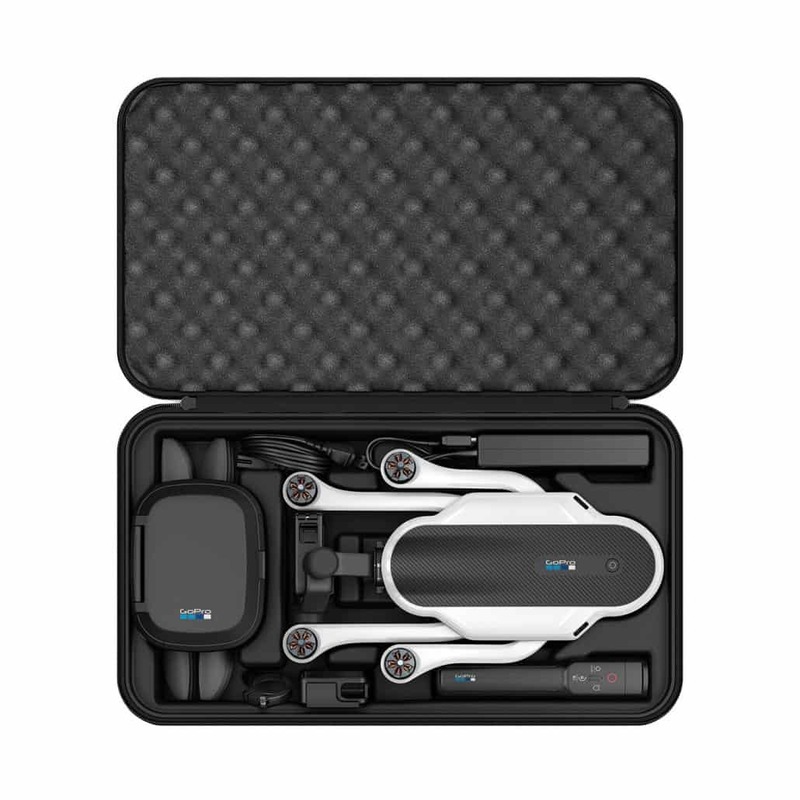 It accommodates three AA batteries and can connect to the drone even when it is 150 meters away. 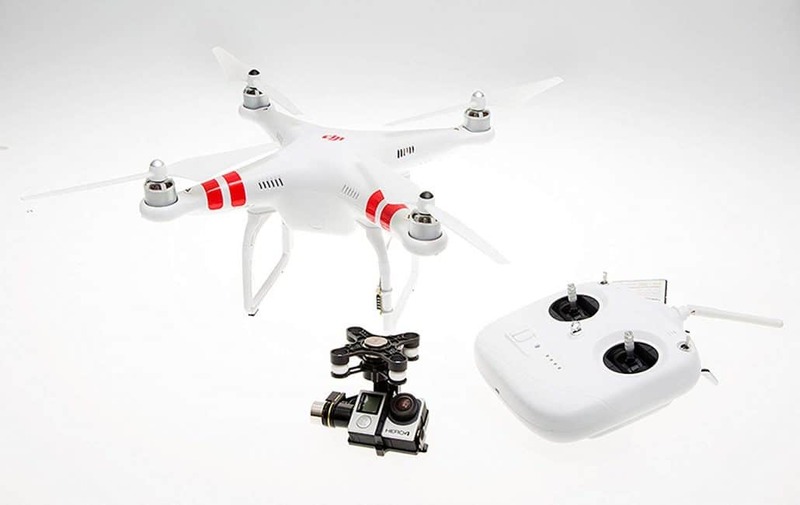 However, apart from that, you should not expect much as it comes with just the basic controls and the most you can do with it is fly the drone in four different directions and also perform stunts such as 360-degree flips. 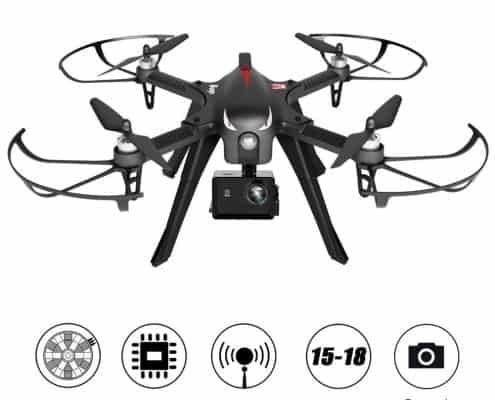 Unlike the ordinary drones, this go pro drone quadcopter comes packed with some of the features which you find in pricey ones such as the 6 axis gyro system which ensures its stability and also helps it return to the same position quickly even when you perform stunts with it. 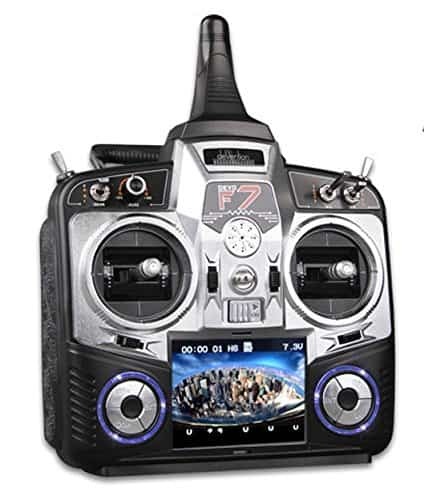 It also boasts the headless mode which makes it perfect for both beginners and experts while the speed is customizable to further enhance your experience as you can set it depending on the required conditions. It also has the one key return functionality which enables it to come back to you once you are done or whenever you want it too. 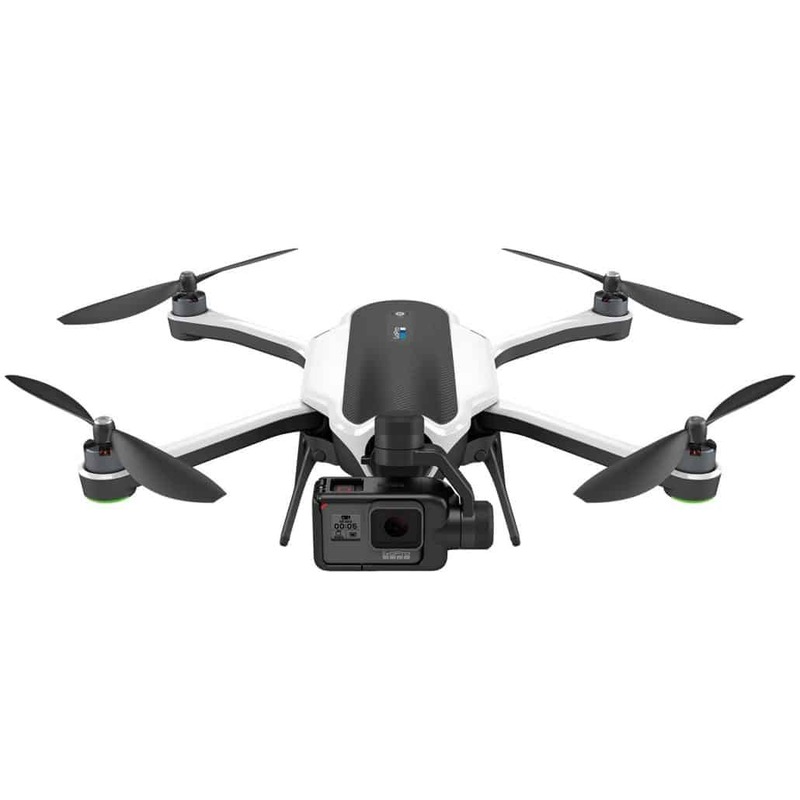 When you’re looking for a GoPro Drone, you have your choice. Make sure you pick out the one that’s just right!